As we exit Freshwater Bay on this grey morning, the tall peaks on Admiralty Island welcome us into Chatham Sound. Just another 15 Miles brings us to Icy Strait where we are happy to find conditions calm with hardly a ripple on the water. 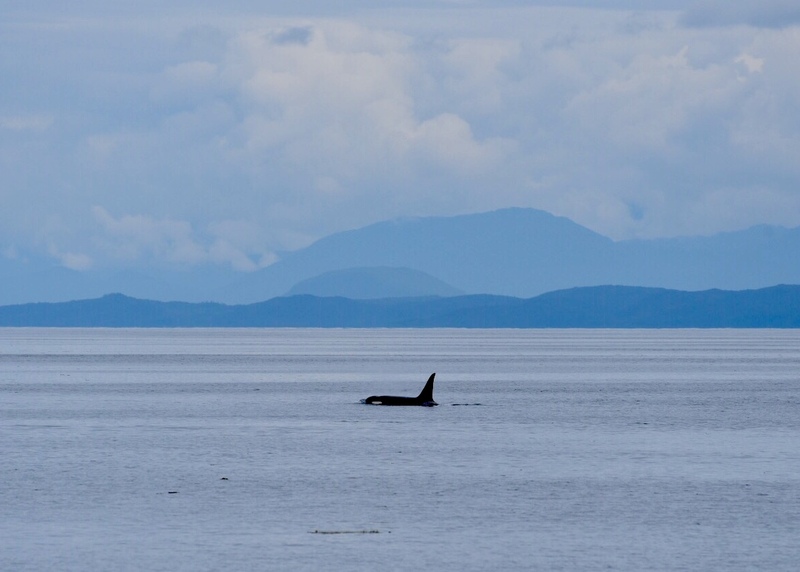 We soon spot a pod of Orcas feeding. We idle the engine and spend some time admiring them as they pursue their prey. Several sea otters are lazily floating on their backs also enjoying the calm conditions. Entering Port Fredrick the Icy Strait Point Cruise ship dock soon comes into view. 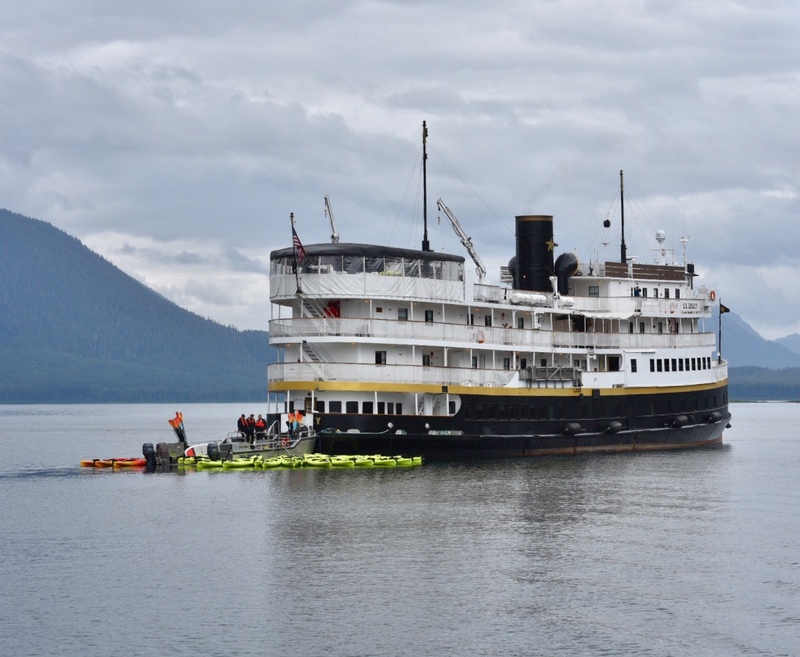 This is the only private cruise ship terminal in Alaska. 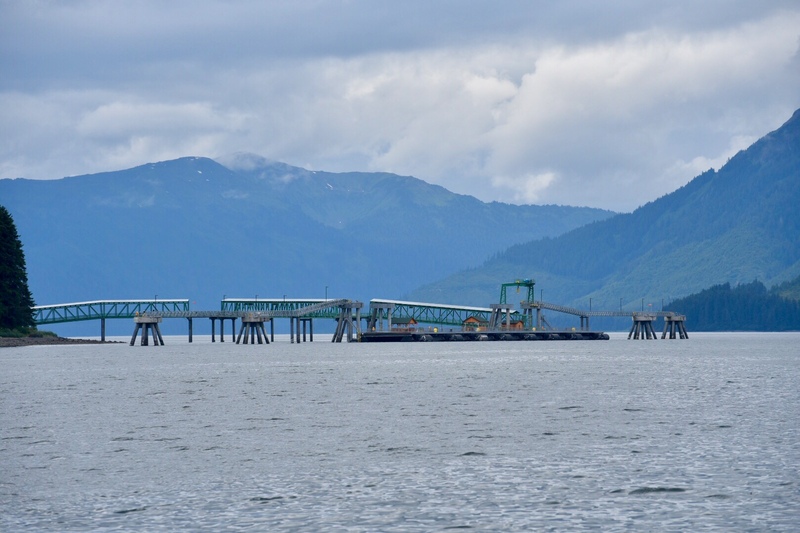 It is owned by the local First Nation Tribe in the small village of Hoonah . The dock is empty today. We continue another ten miles down Port Fredrick Inlet to an anchorage called Neka Bay. The small cruise ship SS Legacy is anchored just outside North Bight. Inside the inner anchorage, we spot a Krogen 42 “Encore”. We last saw Rachael in the San Juan’s last September. The anchorage is full off crab traps but we manage to find a spot just in front of Encore . It is a beautiful spot with steep forested mountain peaks on three sides will be our home for the next two nights. Early the next morning, we put out two crab traps amongst the multitude of commercial traps. We then transition the dinghy from crabbing to salmon fishing. We have been watching the salmon jump all morning in the anchorage. Within ten minutes of the start of our troll, we have a fish on! Within a few minutes we have our first Coho of the season. She is a beautiful 14 pound catch. We know it is a female because while cleaning her, we found many eggs. We soon have a second fish on the hook. This one is a small Dolly Vardin Trout. This is one of the few trout species that migrates from salt water to fresh water. A short while later, we notice a small rib speeding towards us. It is two Alaska State Patrol Officers. They check our fishing license and inspect our small trout. This is the second time this year that we have been inspected while in Alaska. They certainly take the fishing enforcement seriously up here. Back at the boat, we go to check our crab traps. After searching for fifteen minutes, one of our traps is nowhere to be found. We know the exact location it should be so where is it? I don’t think anyone would steal it. The only place it can be is underwater. This week due to the phase of the moon, we are experiencing extreme tidal fluctuation of up to 20 feet. Sure enough, two hours later the top of our trap appears just above the surface of the water. 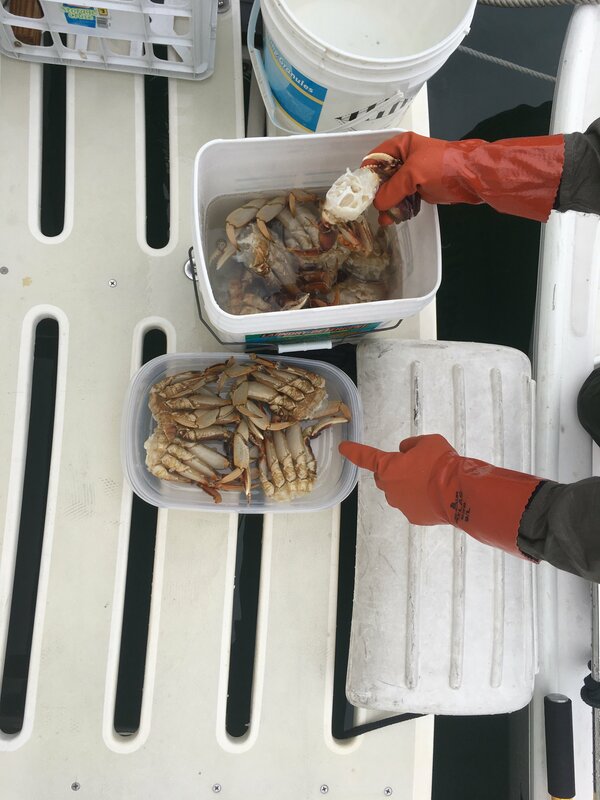 We quickly retrieve it and we collect our six male Dungeness crabs. The evening is spent processing our catch. This entry was posted on July 30, 2018 at 10:44 pm. You can follow any responses to this entry through the RSS 2.0 feed. You can leave a response, or trackback from your own site. 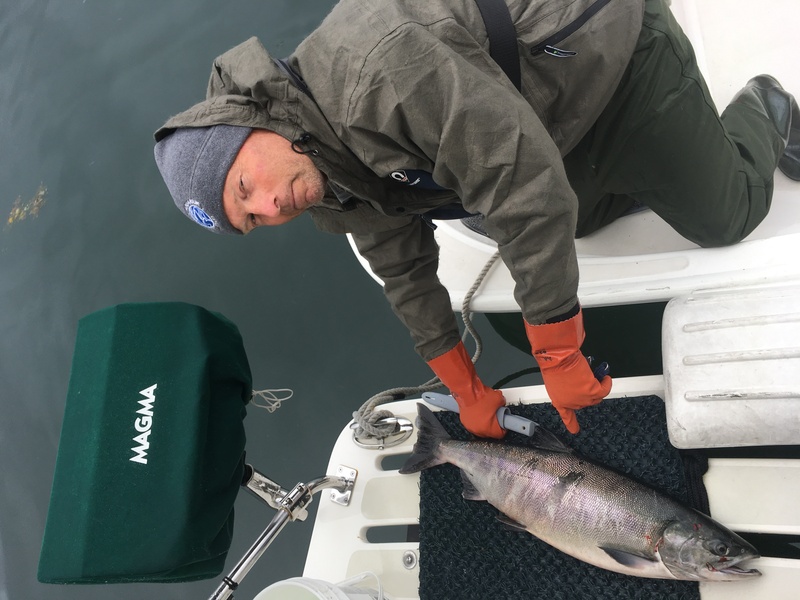 1 Response to "Pavlov to Neka Bay"
Congratulations on the beautiful Coho!! 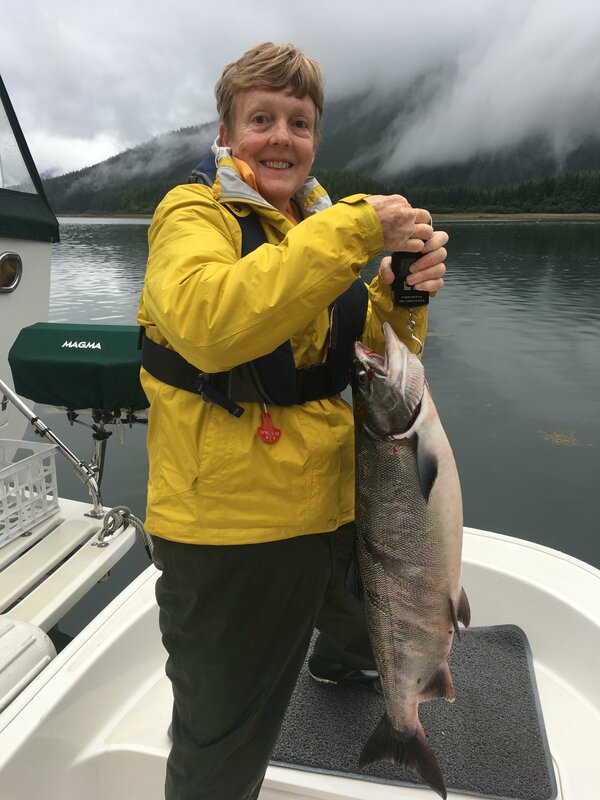 They grow ‘em big in SE AK!